adivasi PICKLE is an interesting platform to bring forth the oral knowledge of Adivasi people in the written form. There are several stories, which have slipped out of the minds of people or have been suppressed inside, and this determines who we are today. History is important hence, it is important to engage with adivasi PICKLE and leave behind a story. And this story will tomorrow be regarded as history. Language might be barrier for many of us but adivaani’s Director Ruby Hembrom says,“Language should no longer stop us to write, we should express our knowledge in whatsoever language or skill we possess. This venture is a joint effort of the author and the publishers where they work hand in hand to produce the best out of the raw. In the first effort of adivasi PICKLE 2013, I was given one year to complete the book. When I sent them my first draft, the publishers read it, edited it and provided suggestions where I got the chance to re-think and modify my writings. It was indeed a new experience to get into the world of literature which I had never thought before. Yes, we all enjoyed the venture and celebrated the fruits of it amidst many intellectuals, well wishers, media persons and near and dear ones. Hoping to see more than that from the upcoming 2014 edition. I wish all the participants the very best. If you are still holding on to a story; just send it in as an entry. Thanks to adivaani for this amazing platform, the reward, recognition and the lasting memories. 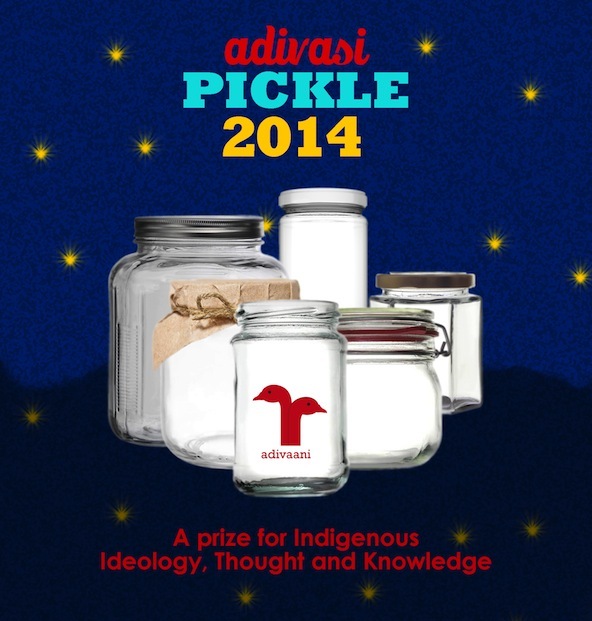 Last call to participate in adivasi PICKLE 2014. LAST DATE TO ENTER COMPETITION: 31st December, 2014.